On Monday, your patience will be challenged by the actions or strong nature of a woman who is not a member of your family. Generally this day, you will be able to realize tasks that are important to your home and family. On the first day of the week, you will be able to make specific plans for the next 7 days but avoid looking for easy ways to solve complex problems or rely entirely on someone’s help. If you organize your things so that you meet on your own initiative with people, of which depends the resolution of your problem, your success will be much more realistic and achievable. LOVE: Today you will discuss plans with your partner related to a child, such as conceiving or the growth of an already born one. Men over the age of 35 will be more generous to their beloved woman, as today they will have a reason for such generosity. If you were born under the sign of Aries, Leo, or Sagittarius, today avoid making promises. Over the next few days there will be events that will force you to change your plans. Today, many of you will devote time to preparation related to an upcoming gathering. If you were born under the sign of Taurus, Virgo or Capricorn, today you will engage with various improvements, repairs or changes in the home. On Monday, you can buy something new for your home. The day is not the most favorable for a trip, so be careful and prepared for any situation. If you were born under the sign of Gemini, Libra or Aquarius, the troubles today will show you your mistakes or inactive, demeaning relationships. It is good to make changes today to be able to move forward without being burdened with such negative emotions. Expect interesting or unexpected news related to your relatives. 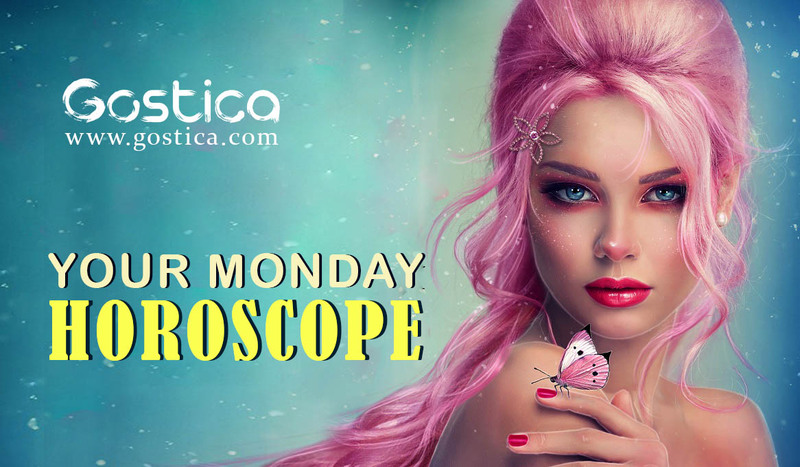 If you were born under the sign of Cancer, Scorpio or Pisces, your attention will be focused on your work or business on Monday. The day indicates unexpected news about a person with whom you have a common professional or business relationship. Pleasant surprises will be related to your acquaintances from near and far. On this day, you may be looking for alternatives but there never really is a one way. You can, in fact, go back to being careful not to invest on anyone. It’s very human to think or to realize that we are not able to do it in time. The important thing is not to think about it because you don’t want work, sweat or responsibility. For once, they will let you pass it. Do you have any proposals this day? You almost always live without it, but it would be a good idea to organize something today especially for people who love you and who continually get trash from you. Showing that you have thought of your neighbor could be a step forward for a relationship, friendship or love. Even in your work there would be steps to take, at least try! You may not have calibrated your strength well, but you always have an ace up your sleeve. You always know you can count on someone to assist you and help you achieve your goals. You are always very lucky and even if you don’t ask; the day will still be full of satisfaction and achievements. All you have to do is make an effort to thank each other at the end of the day. Excellent solutions have always brought you great results. On this day, you will have to find one quickly to fulfill a duty. You have come too late and now you have to run. You are also used to the final sprints, although they will leave you a bit of confusion. Without thinking carefully, you always seem to have forgotten something, or not done what you can but you will still get a good result. It’s a great day, despite the initial boredom and listlessness. You will find a lot of welcome, a lot of affection and sincere closeness wherever you go. Do not always stop at one step from happiness. Grab it and stay with it for as long as possible. Perhaps you would like to experience better and more intense moments in this period, but settling for it will be part of the path to something more! Omit the truth if it makes you feel better. However, the people around you would have the right to know especially if it does not concern you alone. Perhaps there are a few small flaws which make you lean towards silence, but then it means that you don’t want to discuss and you don’t want a confrontation. This is not very healthy especially in a relationship of two.